Another year has gone by and we find ourselves once again with the tremendous dilemma of receiving so many applications for admission to the Akshay School and only 30-35 vacancies. I still remember how 12 years ago we had to go from house to house trying to persuade parents to let their children come to our school. 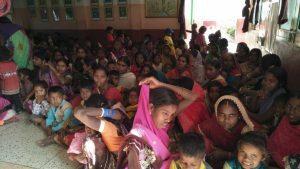 This month more than 140 people came to our Akshay School to apply for admission for their children for the academic year starting in April. 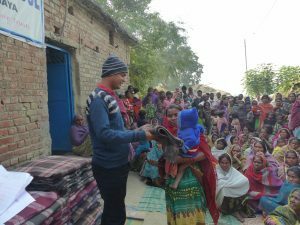 This shows us how with time our talks on the importance of education have seeped into their minds and how the neighbouring villagers of Amwan, Nautapur and Amway Colonly have seen the positive changes in their own children. These parents know also that it is not only the education they receive but also the individualized attention, the medical care, vaccinations, presents of blankets, food, clothes, information on hygiene and the benefits for a family when forced to face a serious problem. 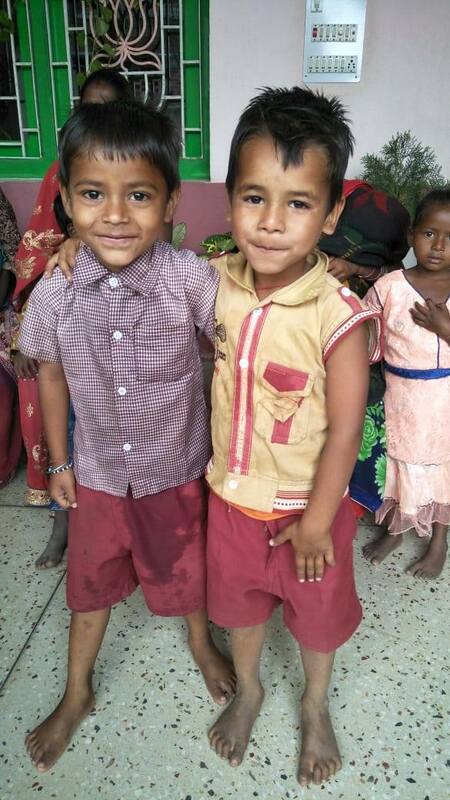 It makes us sad not to be able to admit all the children since we do not have sufficient funds. It´s also hard for us to restrict access to so many but we hope that little by little and with your generous help, we will be able to give education to even more of them. 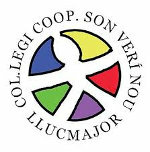 Our selection is based firstly on giving places to those children who have either no father or no mother or who do not have brothers or sisters already in the school and, in this way, give them an opportunity for every home to have at least one member who can read and write, then we admit those children from the very poorest backgrounds and, finally, those children whose parents are willing to promise to delay their children´s age for marriage, especially their daughters´. In addition we keep 50% of the places for girls. We ask you to pass on to your family and friends the great need we have of sponsors so we can offer other children the possibility of receiving education, of having medical care, a place where for a few hours they are out of misery, where they can be little children not part of a workforce in the fields, a place where they can step by step start building a new future for themselves. 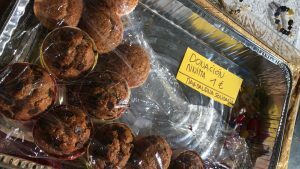 Becoming a sponsor (a Godfather or Godmother!) 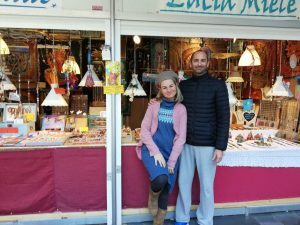 to a child only costs in Spain the same as a couple of aperitives per month, but we can make that amount go so much further in India, to the point of bringing about a complete change in the life of a child thanks to education. Can we persuade you to spread information on our work and help us to find new sponsors? 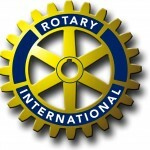 Some years ago all members of the Facilisimo staff (htp://www.facilisimo.com) agreed to give a small amount of cash each month towards educating a child in our Association. And that´s how they got to know Vikash! 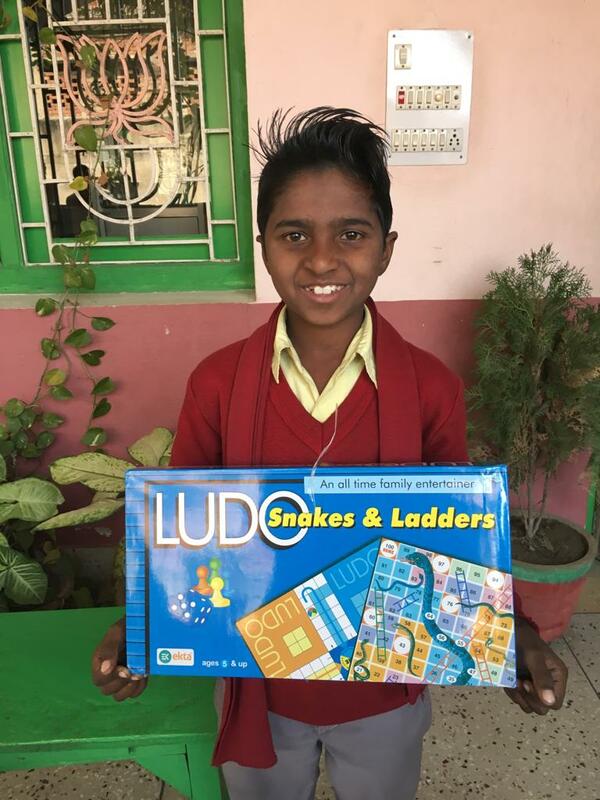 Vikash, a Dalit or “untouchable”, from a very poor family would never have had the opportunity to study if it were not for the generosity of the employees of Facilisimo who are helping him to attend our Askshy School and are paying for his uniform, books and school materials. 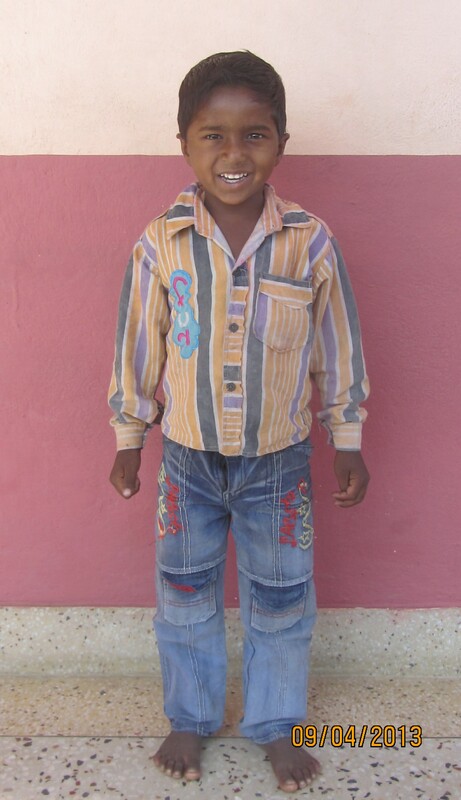 In 2013 Vikash was admitted to our Nursery School; today he is finishing Year III and in March will move up to Year IV. 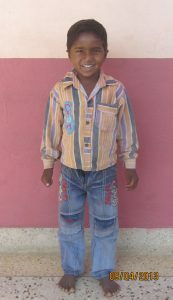 Vikash is proud of having so many friends in Facilisimo who always look forward to receiving his letters and drawings. 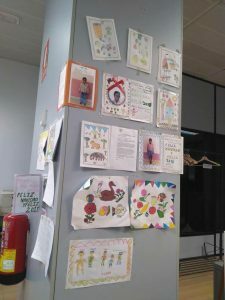 Facilisimo´s staff follow his progress through his drawings, letters and the photos he sends them regularly where they can see how Vikash is developing. Last Christmas they wanted to extend their help to all the children so they too could receive a gift. They held a collection and for 3 Kings Day sent our School a good parcel of school materials to be shared out among Vikash´s schoolmates. There were games, coloured pencils, felt tips, drawing paper, etc. 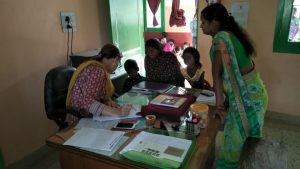 A fine example, clearly, of what other offices could do by donating just a little towards strengthening the ties of friendship among workmates and, at the same time, giving a child in India the opportunity to have a better future. Our most sincere thanks to all members of the Facilisimo staff! In India 1.5 million deaths are caused each year by cardiovascular illnesses. 25% of the population suffer high blood pressure. 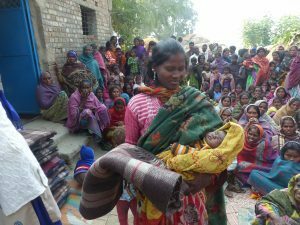 In rural India the main reasons for this are inappropriate nutrition and a lack of fresh fruit and vegetables. have a general health revision. Cardiovascular complaints are not discovered until a stroke, paralysis or an acute pain occurs and then it is almost too late. 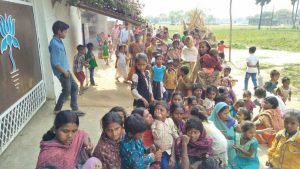 We know a number of people in the villages where we work who have suffered the consequences and have taken them to a health centre for treatment, in some cases physiotherapy too. 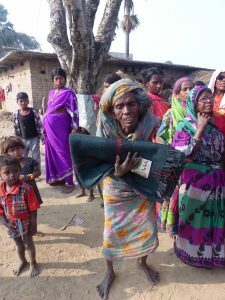 On of our recent cases was that of Manjari Devi who lives in the village of Jaitiya where we work. 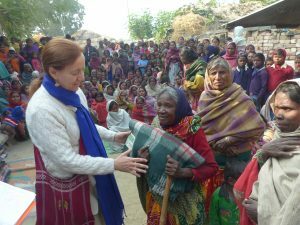 We met her while we were distributing blankets over Christmas when she told us about her terrible sufferings. Neither her husband nor her children knew how to help with constant pains so fierce they reduced her to tears. 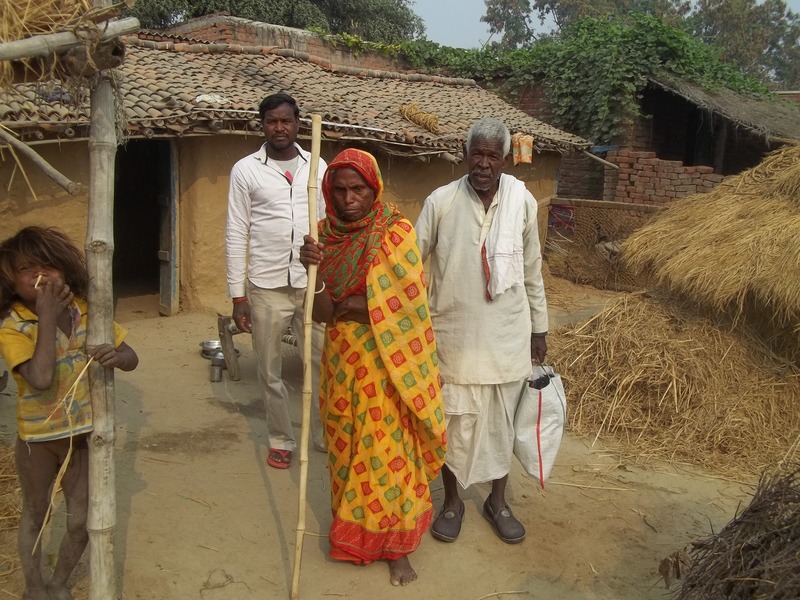 The whole family have always worked in the fields as labourers, with little food and not enough money to buy fresh vegetables or pay a good doctor. 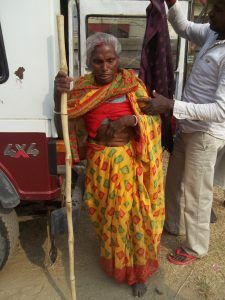 A year ago Manjari Devi suffered terrible pain and was taken to different local doctors who are basically medical salesmen and could do nothing for her. The family had lost all hope and could not see any solution to the problem. Long distances, lack of transport, lack of education and ignorance of how to contact health centres outside their villages cause many people to suffer in silence illnesses which can be cured if treated by a good medical professional. Last month we took Manjari Devi to the Shakyamuni Clinic in Bodhgaya, an hour away from her village, where they found her blood pressure was very high and gave her medicine to bring it down and stop the pain. 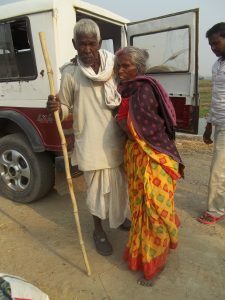 The treatment will be continued but her husband and children are prepared to support her and come to collect the medicines. 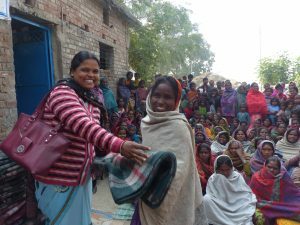 Manjari Devi and her family are happy to have finally found a little peace after so much suffering. We will still watch over her condition and support her with transport and help in the Clinic. We are most grateful to all members who make it possible that in our Social Programme we can discover and attend to people like Manjari Devi. We also give our thanks to the Shakyamuni Clinic for their cooperation. There are people who certainly make the 3 Kings Day an important, magic day for many children and, in this case, for children in India, by enabling them to attend school throughout the year. This is how “Las Hadas”, Lucia and Thomas, made it a brilliant day, by helping Akshy. 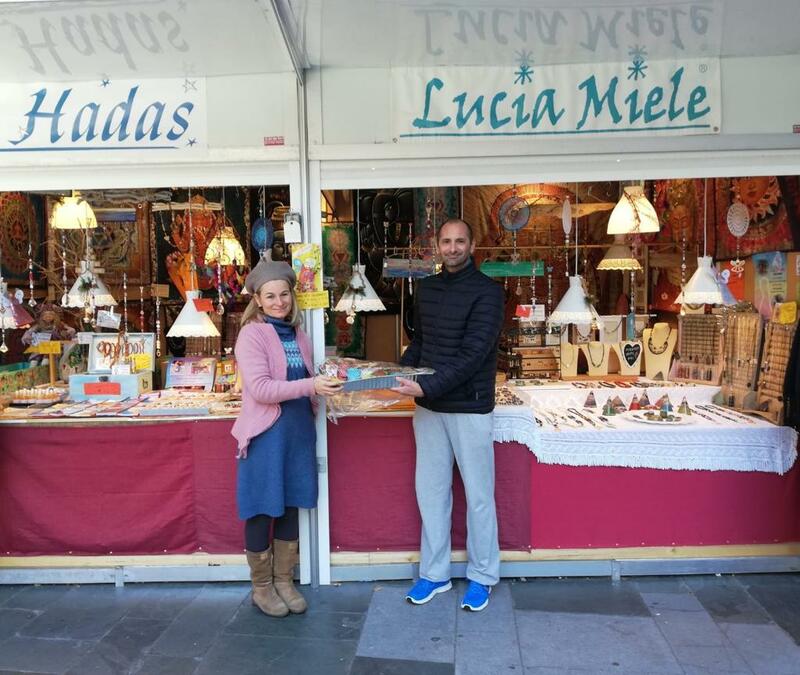 Lucia has a little business in Palma de Mallorca called “Las Hadas”, in the Plaza de España, stall 5; each year it is a place for solidarity, and she donates her sales on January 6th, 3 Kings Day, to our Akshy children. 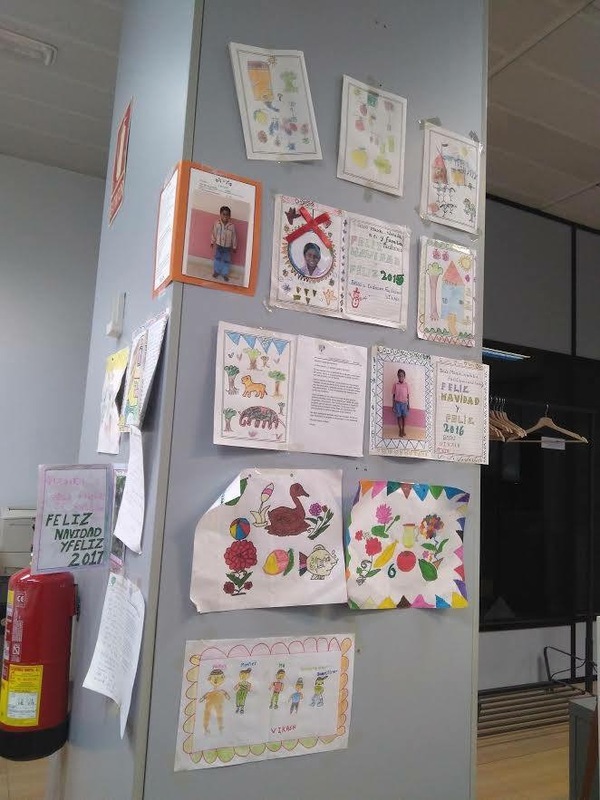 Thomas took part by designing this attractive poster and by preparing delicious cupcakes which were sold at 1 euro each, again all profits going for the Akshy children. Many people collaborated by visiting “Las Hadas”, making purchases or offering donations. So much generosity leads us to meditate on the number of people with an enormous heart who can truly work magic and are an inspiration for many others. 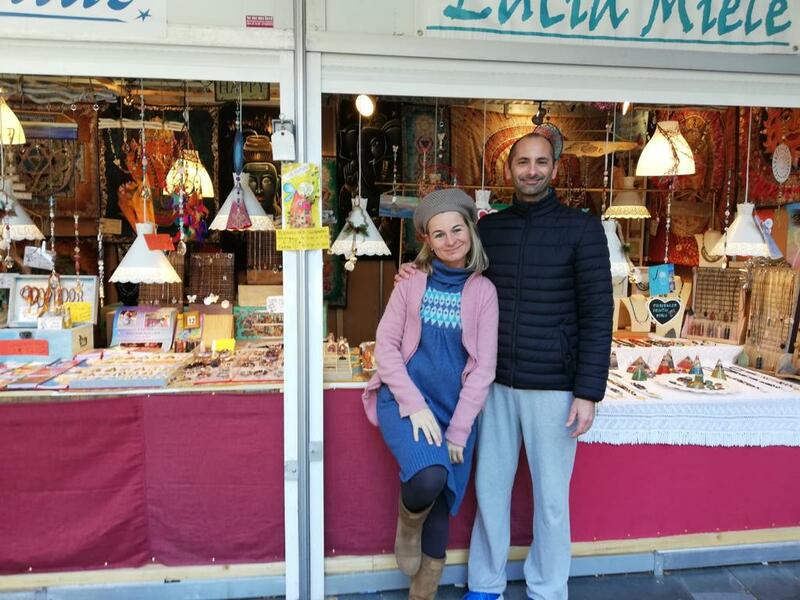 A great big THANKS to Lucia, Thomas and Las Hadas for dedicating this day to the children of Akshy and to all those who contributed to Las Hadas on this special day for our Charity. 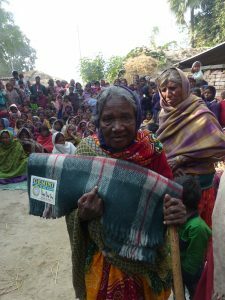 This last Christmas we started a campaign to buy as many blankets as possible for our beneficiaries. 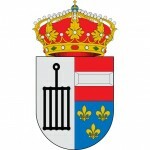 With a donation of only 5 Euros, and thanks to your help, we were able to acquire one each for all the people we help. 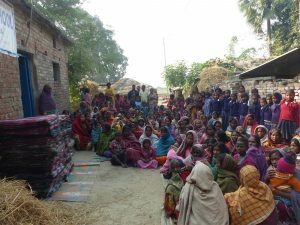 In Bihar the months of December and January are very cold with temperatures falling as far as to 4ºC- The dwellings have no insulation or heating. 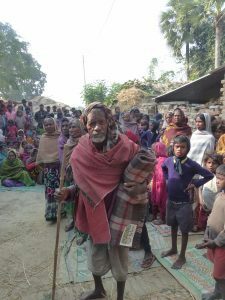 These very poor people haven´t the right clothing to combat the cold; many old people and children suffer or even die. 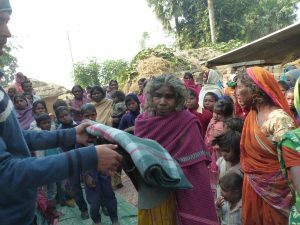 Thanks to the generosity of so many helpers we were able to provide 400 blankets in the different villages, especially to older people and children. For them being a little warmer this winter has been an enormous gift. Many thanks to all those who contributed to our campaign. Your generosity has meant so much to so many this winter.